June 12, 2018 by Caprice Murray, Tensoft Inc. 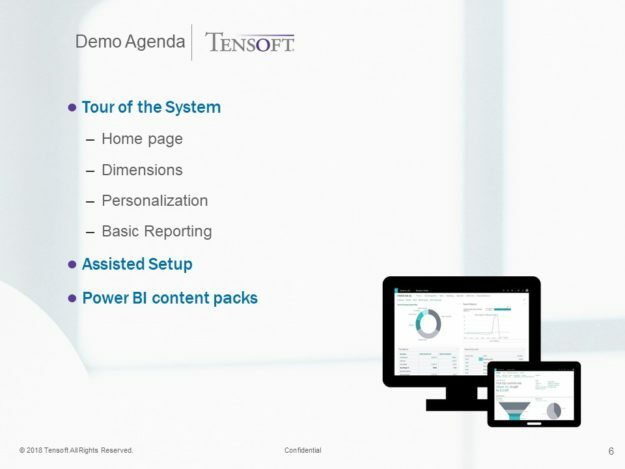 Recently, Tensoft hosted an interactive webinar, “Connect It All with Microsoft Dynamics 365 Business Central”. 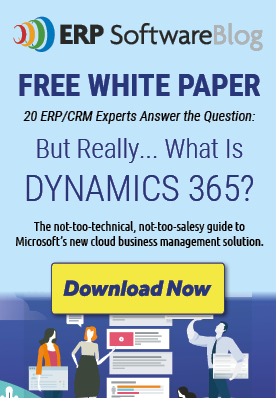 Dynamics 365 Business Central is Microsoft’s long-awaited cloud ERP solution, Dynamics 365 Business Central. We interviewed a long-time Tensoft customer - Wayne Goulding, CEO of LunchStop - to learn about his experience with migrating to Business Central. In particular, we wanted to learn his key reasons for switching from Dynamics GP to Business Central. 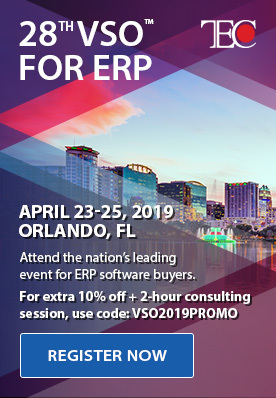 This was followed by a demo of Dynamics 365 Business Central by Tensoft COO, Dan Berube. “We are going take a brief overview of the product here this morning. We'll be getting into some of the features and functions that we used to help Wayne save time and get him up and running quickly. Then we will take a look at some of the features and benefits that Wayne mentioned, from his personal experience. We'll also take a look at the homepage in detail. In other products, we'd normally present the default homepage and move on. But Business Central has really improved on the homepage concept. It's made it really functional, so it makes transacting easier for you. Your homepage has become a real starting point, an entry to the system and to your particular transactions. We will then talk about Dimensions and Personalization. These features both really helped LunchStop make their transition from Dynamics GP to Business Central. For our GP customers who want to convert to Business Central, we recommend that they re-think their Chart of Accounts. In Dynamics GP, there's a segmented account structure. Every time you add a department or piece of information, you are adding a lot of accounts. That's because each natural account needs to have a unique value added to it as part of the string. For LunchStop, analyzing how they were using their old Chart of Accounts and how we could use Dimensions was an important step. We were able to shrink their Chart of Accounts down from thousands to just over one hundred. This ability to streamline the Chart of Accounts makes transacting in Business Central much more efficient. To view the recording, click here. If you would like to explore the possibilities with Dynamics 365 Business Central, then sign up for a free trial today!